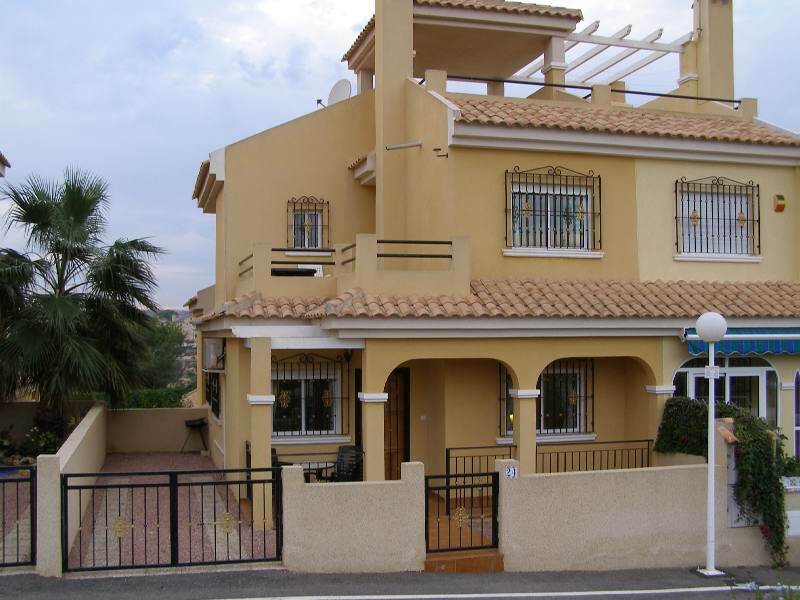 Situated on the Costa Blanca approximately one hours drive South from Benidorm and 40 minutes from Alicante airport, Torrevieja nestles between the Mediterranean sea and two large salt lakes. 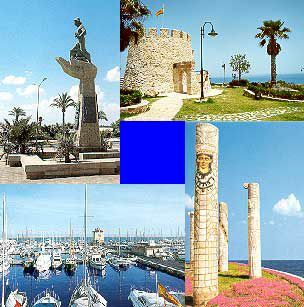 A predominantly Spanish holiday resort, Torrevieja has all the facilities you would expect yet still retains a relaxing friendly atmosphere. 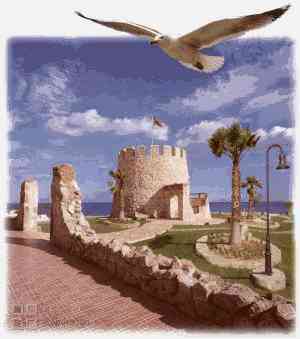 The Costa Blanca literally means the white coast, the beaches in and around the Torrevieja area prove this to be true. 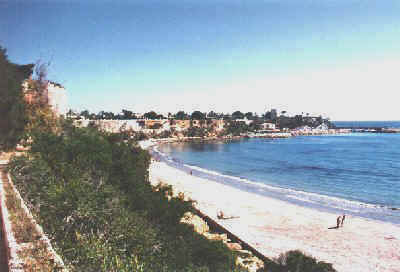 There are numerous sandy beaches and coves to choose from. The imposing Nautica yacht club overlooks the excellent marina. 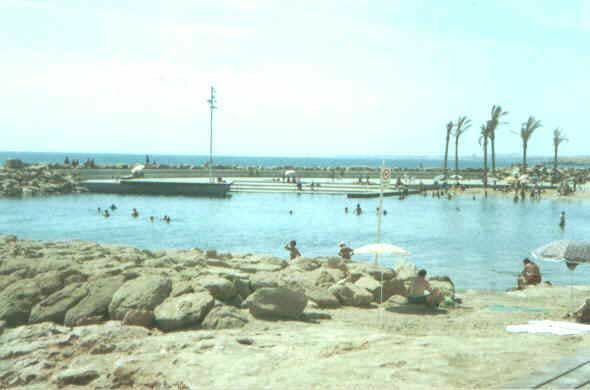 Bathers enjoy one of Torrievieja's two new sea pools, late in September. 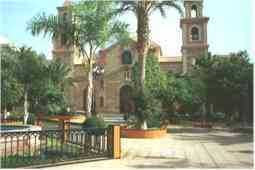 One of the greatest tourist attractions of Torrevieja has always been its variety of entertainment for young people. 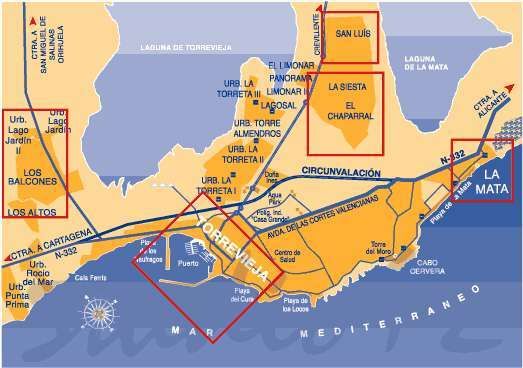 There are more than a hundred night bars, the majority concentrated in the so-called El Baluarte area in the La Punta district, which have become a major attraction for thousands of people from all over the world. 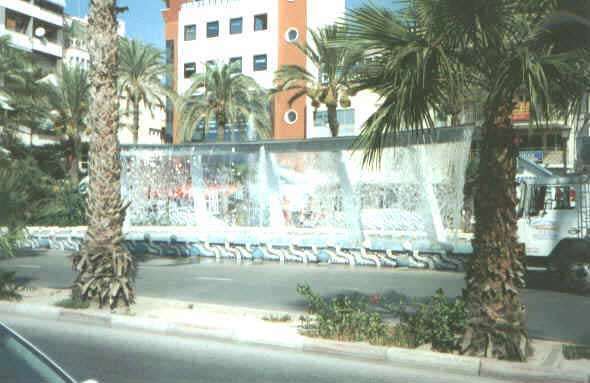 The cosmopolitan nature of Torrevieja's nightlife can be seen in its leisure areas: Casablanca, Bésame Mucho, Pata Palo, Tía Roqueta, Tirachinas, Iris Pub, La Cantina or Correcaminos, are just some examples of typical leisure places in the town. 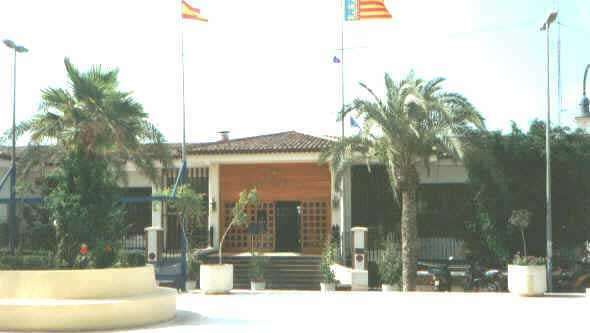 For the real nightbirds this provision is rounded off by the macro-discoteque Pachá, as well as the historic Look and KKO clubs, which cannot be passed over during a nocturnal pub-crawl (la ruta del bakalao).